A respected jazz pianist, composer and educator, Lori, along with her husband Roger Spencer, has lived in the Nashville area since 1988. In addition to directing production shows and conducting musical theatre, she has performed with artists such as Dizzy Gillespie, Red Holloway, Jimmy Smith, Cal Collins, Roy McCurdy, Terry Gibbs, Pete Christlieb, Edie Gorme, Bobby Militello, Kirk Whalum and Donna McElroy. A native of Anderson Indiana, Lori received a Bachelor of Music in Jazz Studies from Ball State University, Muncie, Indiana. 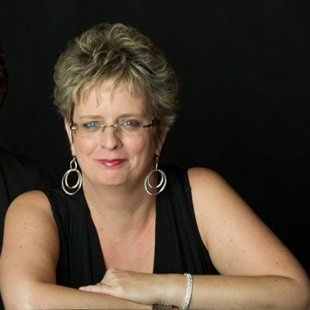 Lori and Roger founded and direct the Nashville Jazz Workshop. Lori is responsible for curriculum, student advisement, and special events, and teaches vocal, instrumental, and keyboard classes. “You play good for a young girl” is something Lori hears a lot. “You’re a good pastor/preacher for a woman” is something I hear too. Have you ever heard this for your procession? Is it regional? Nashville Jazz Workshop is a jewel of Nashville! Visiting the Jazz Cave or taking a class is a MUST! Lori’s piano mentors: Oscar Peterson, Monte Alexander, Gene Harris, Mary Lou Williams. Sue Level was the first woman Lori saw doing her thing and doing it well. Who is this in your life? Keep On Keeping On a Documentary about jazz and mentorship. It’s one of the best things I’ve seen in a long time! A mentor that really molded Lori in college – “helped her out of the tree” — was Beth Turcotte. Who was a mentor from your college days? Improvisation started with the blues – a musical question and answer. Singers and instrumentalists should play nice and listen to each other. You can hear the pain and where they were — Carmen McRae. Charlie Parker – always busy. John Coltrane – deep. How do you figure out your own style or voice? “Now I know what I’m supposed to sound like.” Have you had that moment?